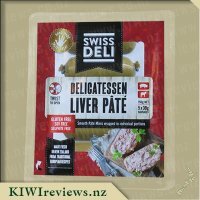 Swiss Deli Delicatessen Liver Pate is prepared from liver of top quality New Zealand veal and pork. Seasoned with pepper, onion, ginger and parsley, this traditional ready-to-eat product is an ideal appetizer for any special occasion. It is best served spread on top of rye bread, as a sandwich filler or as a dip with vegetables. 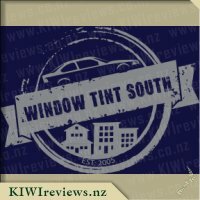 Supplied in five small, easy-to-open 30g mini chubbs to ensure that the product stays at its best. Each chubb is enough to cover 2-3 slices of toast. Pate is one of the things I love but don&apos;t normally eat a lot of except for special occasions so I was pretty keen to try this. We decided to go simple and had it in the evenings as an after dinner snack along with some cheese while watching TV. Felt like decadence! 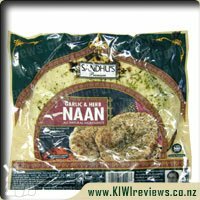 The obvious point of difference with this pate is that it comes in five individual packs which honestly I found I had a love/hate relationship with. On one hand, I love that they are five smaller servings, no opening pate and having some only for the rest to go dry and disgusting quickly as you forget about it. Having individual servings means it&apos;s something we can enjoy in the evenings with no wasted leftovers. On the other hand, I did find the metal clips tricky and ultimately it was a little fiddly getting the pate out but the convenience of smaller servings this was probably not a major. Yeah, pate is another of those foods I only ever eat as a treat. It&apos;s usually made with a fairly natural recipe but it&apos;s full of fats and usually goes better with cheese and butter - two things I try not to eat a lot of as well. Still, every once in a while it&apos;s ok to treat myself because my work burns a lot of energy and I don&apos;t seem to put on fat for very long at all. I loved how these came in 5 little mini servings. One of the first things that put me off buying pate was that by the time I got about half way through even a small slab of it, the rest had turned grey and started to smell. I was buying a whole slab and only getting to eat maybe a third of it due to spoilage. That kind of waste really annoys me, more so when it&apos;s a treat item that usually comes with a big price ticket. Having the pate come in smaller, sealed servings means that if I only want to have a couple of bits of toast or crumpets with pate on, then the rest stays sealed away from the air and doesn&apos;t spoil before I get to it. Each little sausage easily covered two or three bits of toast, so it was enough for one day. A slice at morning tea, another at afternoon smoko, and that portion was gone with only the plastic wrap for waste. That was great stuff and I&apos;m so surprised that no-one thought of this before! Sure, it adds to the cost a bit I am sure, and the metal clips that seal the ends are a pain to cut off if you don&apos;t want to waste any of the pate, but still, the saving in cost on not throwing half of it out more than makes up for that. It didn&apos;t annoy me at all after I realised that. Why did nobody think of this idea before? I always end up with remnants of pate hiding in the back of the fridge in various stages of dryness, sometimes featuring a palate of colours that would be at home on an Renaissance painting. And all because pates come in flattish bowl-shaped clear containers or flat packs that squish under other objects at will. I tend to eat most of the contents and then forget about the remainder until it is too late. I rarely buy pate now for this reason. But now somebody has stumbled on the obvious solution, one that the manufacturers of kiddy-sized cheese triangles and individual lunchbox packs of dried fruit have known for years. 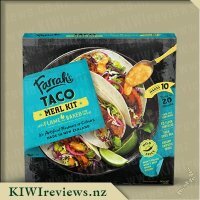 The one-serving, sturdily packaged helping that does not generate leftovers and has a reasonable shelf life - long enough for me to remember there is still some left! 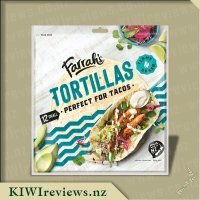 The packaging is so sturdy in fact that you need to be a safebreaker to open it, but there is an easy way: slice the packet into two pieces with scissors or a sharp serrated knife and squeeze the contents straight on to the bread or whatever you happen to be serving it with. No waste, no mess, and just enough for a single helping. If you are hungry, you can always open a second one. As far as the product itself is concerned, it is a good, creamy traditional pate with no additives like strong spices or extra ingredients, so it can be mixed with whatever works for the individual. We served it on plain biscuits first so we could ascertain the flavour strength, then we tried it with buttered rolls and Italian seasoning which was heavy on parsley. Both ways were equally delicious. We tried a third roll on pumpernickel with a light sprinkling of lemon juice, and a fourth as a dip mixed with finely chopped skinned tomatoes and black peppercorns. I am not sure which method we enjoyed the best. Because the pate itself is light on flavour, it mingles perfectly with other items. We still have one roll left to try. In the old days this is the portion that would probably now be growing mushrooms under the larger items at the back of the fridge. I would have discovered it in a week&apos;s time and yet another leftover would be sent out with the rest of the rubbish. As it is, the roll is sitting in the fridge secure in its cylinder and will be still there when it is next needed. I don&apos;t think I will ever buy pate again in an old-fashioned block! I haven&apos;t had pate in the house since I was a child. I remember them often having a jelly on top and sprinkled with herbs. I also remember once it was opened it started to dry out so I never touched it after the first day. 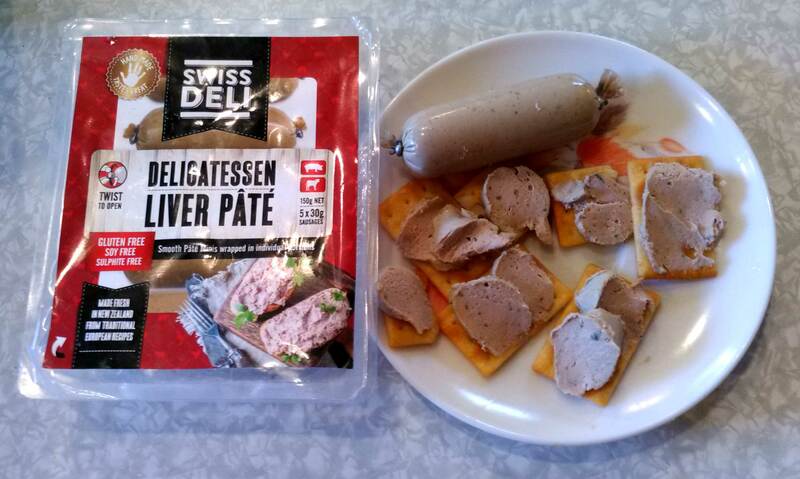 When I was offered the Swiss Deli had packs of liver pate in individual sausages I knew that was the end of dry pate days. I was also pleased to see that the pate wasn&apos;t drenched in peppercorns or anything else that would take away from the pate taste. My girls, 7 and 9 years old, had never tried pate and didn&apos;t even know what it was. I offered it to them for afternoon tea yesterday and Miss 7 loved it. She was eating the crackers as fast as I could spread them. She even requested a pate sausage and crackers in her lunch box today. It should be noted that she is usually my fussy eater but she is now a pate fan. I enjoyed the pate myself and probably ate more than I should have. 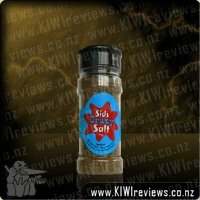 It had a mild flavour which suited me well but others might like to grind some pepper on top. The packaging suggests that you twist the metal clip off the end of the plastic sausage. I found this was quite tricky the first time I did it so I told Miss 7 that if this was too hard for her that she could just pierce the plastic with the kiwifruit spoon/knife that she had in her lunchbox for spreading the pate.I found that one sausage did about 6 crackers when I was just squeezing it out of the tube and about 8 when I was using a knife. 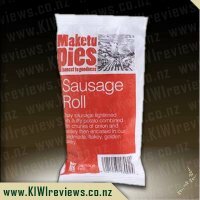 This is perfect for lunch (either at home, work or school) or to share for morning tea. 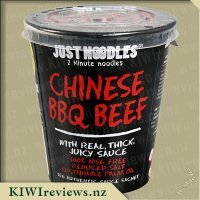 Since I have now found something that my daughter is happy to eat I will be buying it regularly so that both her and I can have it in our lunchboxes. 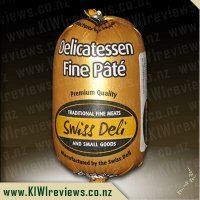 To get the &apos;meh&apos; part over and done with - this is the same pate that I was fortunate enough to review back in 2014, so I can only say "I loved it back then, and I loved it now too." Looking at the price, you could be forgiven for thinking that this isn&apos;t quite as good a value - to match the 2014 price gram-for-gram, $5.99 should get you around 180g. However, one must take into account scale, and time. 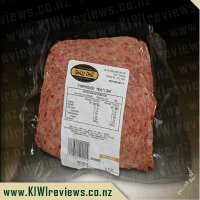 a 180g chubb, once opened, would either need to be used for a big family gathering, or you would risk some of it having to be wasted due to spoiling before you could eat it all - by packaging it into 5 smaller, single-serve mini chubbs, you don&apos;t have that issue at all! I did find that the metal clips that sealed each end of the chubb were tough to cut around with scissors, and I certainly wasn&apos;t going to risk chipping the edge of one of my favourite Lassar ceramic knives by hacking away at it... so in the end I simply chopped each chubb in half then peeled it. That worked very well, and would be my "Pro Tip" to any buyer of this pack. 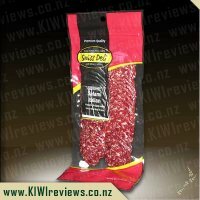 Don&apos;t treat these like a roll of luncheon meat or salami - treat it more like a cheese, in that respect. Overall, I was really chuffed with this new way of presenting the pate, and I tip my hatt to the Swiss Deli team, because I can honestly say this is so new to me, it smacks of innovation in all the right places. The pate works, so they didn&apos;t mess with it (as far as I could tell) instead focussing on making better packaging that adds value to the product by extending the lifespan of it, and adding convenience. By doing these mini chubbs, you have a great way to take only what you need on say a picnic or hike, without risking contamination of the unused portions. Brilliant, simply brilliant! Created by a real chef to bring to you the best authentic flavours from around the world, right to your plate. Just remove the lid, add boiling water, wait for 2 minutes, drain, add flavour and eat.